Growing up in Ireland, I was very aware of the The Artane Boys Band. It was famous throughout the country, called upon to play at every important occasion: St. Patrick’s Day parades, state occasions and football finals. But the school that formed the band — the Artane Industrial School, an infamous orphanage run by the Christian Brothers — had been closed since 1969, its history largely forgotten. The band endured after the school was shut down. 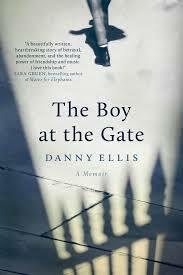 In his book, The Boy at the Gate, local author Danny Ellis refers to the Artane Boys Band as “a diamond forged in the fires of hardship and misfortune,” an example of how music helps people through troubled times. Ellis’s own painful story, told with a light touch, unfolds in the memoir. The first pages convey the joy of being an impudent young boy running with the neighborhood kids. Dublin was a mysterious wonderland to a child with an active imagination. The reader understands the Ellis family’s poverty, but sees it from a child’s-eye view, secure within familiar surroundings. Young Danny delights in teasing his sisters, acting the fool to amuse his baby brothers, and feels a sense of pride when his mother calls him the man of the house — even if she is just persuading him to steal food for the family. They all live in the same tiny one-bedroom apartment where Danny’s mother was born. After she becomes pregnant with twin boys, things get steadily worse until she resorts to desperate measures. First, the twins disappear, then Danny’s sisters. His mother refuses to tell him where they are. 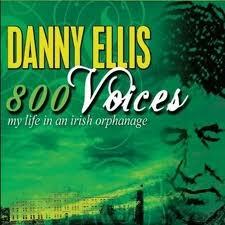 Then, one morning, she gives Danny up to the care of the state, and, at just 8 years old, he arrives at Artane. The toughest godforsaken bunch that I had ever seen. The reign of terror that the Christian Brothers (a Catholic religious order) inflicted on the boys is no less vividly painted in the rest of the book. The children never knew where the next beating was coming from, only that it was just around the corner. Although Danny’s discovery of music was a saving grace, even musical talent did not keep him safe from the brutality of life at Artane. The Boy at the Gate was greeted with some surprise in Ireland where, in ’99, the government began an inquiry into abuse at the network of industrial schools and orphanages. After 10 contentious years, they issued a damning report establishing that the abuse had been systematic and endemic. However, religious orders were able to block the naming of abusers so few prosecutions resulted. Many of the survivors who gave evidence and worked for years to bring the truth to light felt betrayed. There’s been no shortage of memoirs about miserable childhoods since Frank McCourt’s Angela’s Ashes set the bar. The Boy at the Gate is more nuanced: Despite all the hardships he suffered, Ellis remembers the friendships and the moments of grace. It’s a testament to the power of the human spirit to overcome, and the power of music to heal. * This review originally appeared in the December 4, 2013 issue of the Mountain Xpress. We’re launching a free monthly email newsletter! It sounds a good read, I have to admit I do find this genre distressing to read although I also feel that they should be read out of respect to the survivors of abuse. That’s why I enjoyed this one–it wasn’t so distressing. Yes, he had a number of horrible things happen to him, but he’s remarkable in that he isn’t consumed by it, he’s moved on and isn’t letting it dictate his life. Very hard to do I’m sure, and quite admirable. He’s an example to us all.